I’m an Apple user so I walked into a retail store today as I felt it was time to switch from my Macbook Pro to an iMac. The challenge? Apparently no-one at Apple thought that any customer would want any machine above base spec in their store, and base spec is pretty damn dismal. You can get no less than 6 models of iMac with 8GB of ram and their crappy fusion hybrid drive, but absolutely ZERO with 16GB and an SSD unless you go for the iMac Pro. And remember, to upgrade the ram or drive on this takes an electronics degree, so it’s not like you can just take off one screw and slot in some more ram! I’ve left in the exif data with the photos to give you an idea of what settings they were shot with, that should give you an idea of what lighting was available from the Foldio. Most were shot in the evening so there was very little additional light. All the photos (with the exceptions of the two photos of the Foldio) were taken with the Foldio using either the stock white backdrop, charcoal cardboard or a piece of black reflective acrylic. The XPro has finally hit the market and I managed to get my hands on one of the first ones from Godox. These are my pure unadulterated unbiased thoughts, with the exception of my perceptions of Godox to date which have been largely positive. When it comes to tripods, there are a few brands that everyone knows: Gitzo, Manfrotto, Vanguard, Slik, some like Gitzo are on the high end, some like Slik on the low end. Over the last couple of years, there have been some newer brands like Benro, Mefoto and 3 legged thing entering the market. Whilst Gitzo is widely considered the best tripod manufacturer on the market, there is a fair chunk of the market who don’t want to spend that kind of money on a tripod, and to be honest, some of the other brands offer 80% of the quality at about 30-40% of the price. I currently have a Benro which is pretty heavy duty and meets all of my requirements from a tripod perspective. I first heard about Sirui when I was searching for a lighter tripod for travel and the Sirui T-025X/T-024X came up. I had a look at their tripods, but eventually decided to pull the pin due to a change in my requirements, rather than an issue with brand. Flash, or more specifically TTL & HSS has always been Fujifilm’s Achilles heel. Sure you could get HSS and TTL with systems like Cactus and Roboshoot, you could get some level of support, but it wasn’t native and required expensive triggers and receivers. Then the EF-X500 came out and although there was initial fanfare, it came with a premium price a lack of wireless support. Since then, we’ve been waiting for suitable alternatives and fortunately that day has arrived. 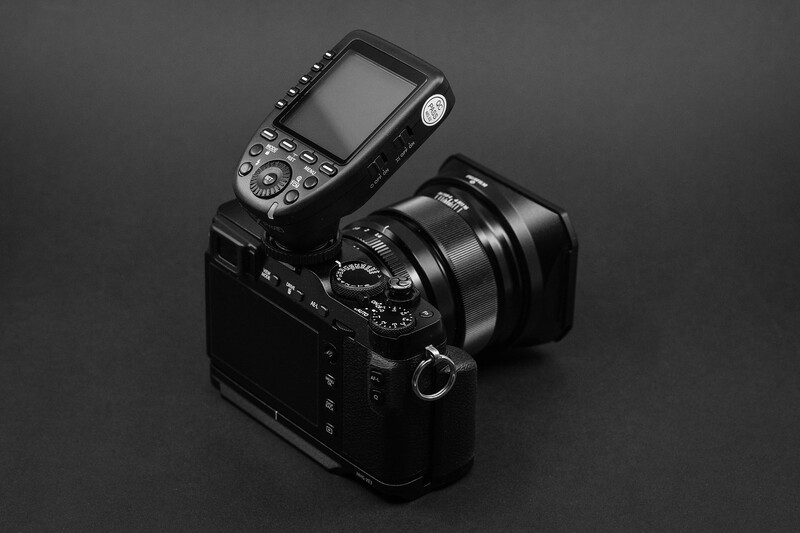 Godox released it’s TT350F which is the first one of their proposed TTL/HSS flashes for Fuji. It’s on the lower end of the power spectrum, but it’s also a good size for a small mirrorless. With the lack of wireless support for the EF-X500, I’ve been working with a Yongnuo YN560 along with a Elinchrom Ranger for the heavier stuff, but there are times where there simply isn’t any other alternative for TTL. I’ve been wanting to look at an ONA Bag for a while. Call me a sheep, but after listening people whine incessantly about how much like they love their ONA’s has been extremely annoying. Part of me is inquisitive to understand what all the fuss is about (the other part of me wants to tell them to stop whining). ONA recently released a smaller bag called the ONA Bond. It’s a small street bag, smaller than the Retrospective 5 which is what I currently use. It seemed like a nice option as a single camera bag for days I’m taking my Sony A7 with a 35mmF/2.8 and an 85mmF/1.8 without a strap. To date I’ve got through with some ThinkTank Retrospective bags, and I’ve been happy with them, but I’ve wanted a leather bag for some time and it was the antique cognac that tempted me (along with a review from a fellow photographer – thanks Greg). It also seemed like a good excuse for GAS, you can never have too many bags after all, or at least that’s what my wife says although I’m not sure she meant the same thing.